What can A/V Baluns do for me? When I was a kid, I used to connect all kinds of things together, expecting them to work. I mean, electricity is electricity, right? If I could get it to fit together, even by whittling away a little bit of the plastic insulation, I should be able to make anything. Or, at least it seemed that way to my 10-year-old brain. Unfortunately, except for a few really spectacular showers of sparks, I didn't succeed in making anything work. to some extent (I did get sound), I never got the volume that I expected. If I'd only known about A/V Baluns back then, I could have had much greater success. What I didn't know at the time was that electronic products have to be matched for them to work. It wasn't until years later, when I started studying electronics, which I began to understand the importance of voltage, impedance and wattage. To me, signal levels were either yes, or no; I guess my brain was designed for a digital world. One of my great breakthroughs in understanding technology came about when I learned about impedance matching transformers. Essentially, every electronic device (especially audio and video devices) and cable has an exact impedance between the positive and negative conductors, which is what that device is designed to function at. If that impedance is not met, there is a severe signal loss. they are really much more than that. Every balun contains impedance matching transformers, to match the impedance of one type of connection to the other. That way, they eliminate the potential signal loss that prevented my tape recorder from playing well through my television speakers. other electrical devices; especially, motors, fluorescent lights and electrical wires. Unfortunately, due to their design, coaxial cables are unbalanced. What does that mean? It means that of the two conductors necessary to make a complete electrical circuit, one is connected to ground (the shield) and the other is the signal. distances, it is ineffective for longer ones. A balanced cable has to have two conductors, neither of which are ground. They both carry the same signal, exactly out of phase with each other. That means that when one goes up, the other goes down, exactly at the same time and exactly to the same amplitude. One of the really great things about balanced signals like this is that they automatically cancel out electrical noise, which is picked up by the wires, from electrical interference in route from one device to another. combined back together, any noise that has come into the lines doesn't have its corresponding out-of-phase wave and is automatically cancelled out. Balanced lines can carry a signal for a much longer distance than non-balanced ones, without appreciable signal loss. Where 100 feet is a long way to send a composite video signal through a coaxial cable, the same signal, sent through a balanced line, such as the twisted pair found in CAT-5 cable, can literally be sent 2,500 feet, without the need for a signal amplifier. It is typical to use twisted pair wire with these balanced wires. Twisting the wires not only keeps them together, but insures that the two conductors of the wire are constantly presented to the source of noise from different aspects, helping insure that the noise picked up by the wires is inconsistent. This helps with the noise-canceling effect we just talked about. As I mentioned for co-axial cables, the metal shielding is intended to act as an electrical noise protection for the inner "signal" strand of the cable. As long as the shielding is grounded, it performs that function, but at the cost of signal loss throughout the length of the cable. However, if a twisted pair of wires is shielded, and the shielding is grounded at one end of the cable, you have both the benefit of the balanced line and the benefit of shielding. Please note that the shielding should only be connected to ground at one end. So, How do the Baluns Work? Okay, now that we've gotten through all that theoretical hoopla, let's look at what A/V Baluns actually do. The main component of a Balun is an impedance matching transformer that connects an unbalanced line to a balanced line. Please note that the unbalanced side is grounded, while the balanced side is not. 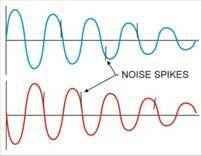 The input signal comes in from an audio or video source, as an unbalanced signal, typically in a coaxial cable, and is converted to a balanced signal, which can go out on a twisted pair cable. The cable that is used for A/V Baluns is Cat 5 cable, the same cable which is used for computer networks. The Cat 5 rating refers to a set of specifications that the cable is designed to meet, providing for a specific signal carrying capacity. Cat 5 cable consists of 4 twisted pairs, allowing it to carry 4 separate balanced signals. For example, two composite video signals, along with stereo audio can be sent over the same Cat5 cable. For fixed installations, solid core UTP (untwisted pair) wiring is used, while stranded wiring is used for jumpers and other short cables, where devices will be moved or disconnected frequently. Besides allowing runs of up to 2,500 feet, without needing signal amplification, use of Cat 5 cables drastically reduces cost in a complex installation over installing regular video and audio cables. In cases such as wiring security cameras through a commercial facility, or closed circuit television throughout a school building, the savings incurred by installing A/V Baluns and using Cat 5 cable can lead into the thousands. Since Baluns are passive devices, not requiring any electrical power, the signal can be converted back to the original form at the other end of your run, by using the same type of A/V Balun and connecting it in reverse. As with computer networks, once your signals have been converted to Cat 5 cables, you can use distribution hubs to allow you to send the same signal to multiple locations, such as would be commonly needed in a closed circuit television system. So there you have it, you can now connect from your DVD player to your television, and take the television down the block to your neighbors, without any signal loss. Why you'd want to do that, instead of using his television is beyond me, but hey, whatever works for you.